Successfully Added 10W Bamboo Wireless Stereo Speaker - Bluetooth 4.0, NFC Support, Hands Free Calls to your Shopping Cart. 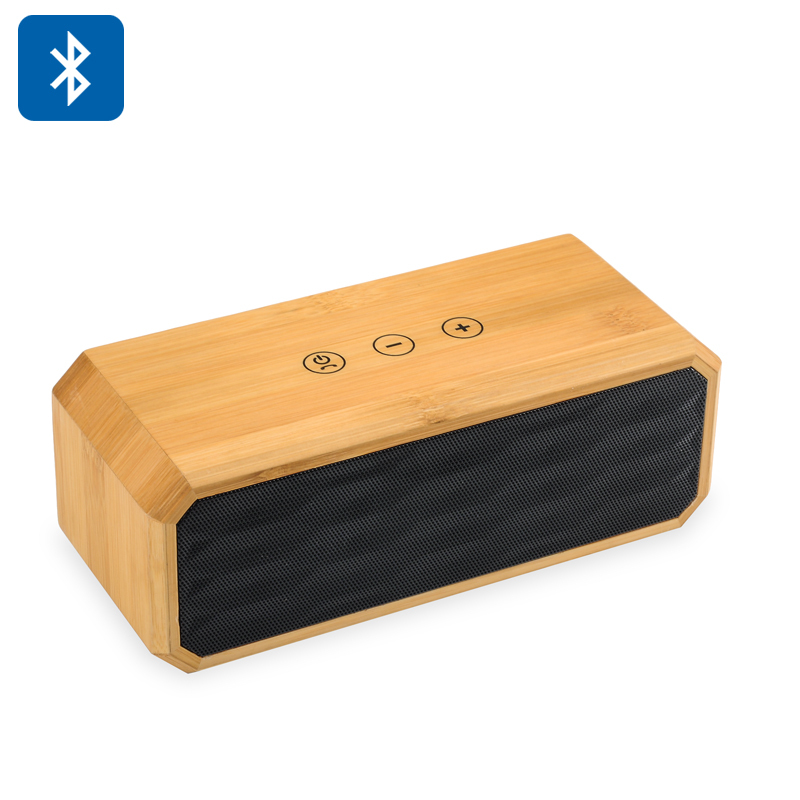 This chic bamboo Bluetooth speaker will be a stylish addition to any interior. Natural, classy and always ready to entertain, it will look great both in your living room or office. With high sound quality, slick finish and easy controls – it’s gadget to have. The stereo Bluetooth speaker is made of bamboo wood and comes with 4 silicon pads at the bottom, so it doesn’t slide when you have it set on your desk. With a nice set of controls at the top, all the speaker’s functions will be right at your fingertips. Turn it on or off, answer calls and adjust the volume simply by tapping on the three touch buttons at the top. Listen to your favorite tracks, eBooks or chat with friends and family hands free. With two 5-watt speakers, you are sure to have great sound quality and acoustics thanks to the bamboo frame (which is also smudge resistant and does not gather dust). The speaker is a great match for any interior, but also easily portable. You can take it outdoors when going on a picnic or task to set the right ambiance at an open air party. Thanks to Bluetooth 4.0 and NFC support, you can easily pair the speaker with most devices, like your smartphone, tablet or PC. With the 1800mAh battery, you will have up to 10 hours of continuous working time. The 10W Bamboo Wireless Stereo Speaker comes with a 12 months warranty. Brought to you by the leader in electronic devices as well as wholesale Bluetooth speakers, Chinavasion..